My son just turned 17 and got his license on his birthday. Here in NJ, the anxious kids get their permits as soon after they turn 16 when their parents realize the inevitable has approached, they shortly thereafter learn how to drive, they log in the required hours with a certified instructor, and the piece de resistance is being able to schedule their lesson for first thing in the morning the day of their birthday. That day the kids don’t care how early they have to wake up to get to the DMV. Then they proudly drive to school that day. So on this date of my son’s 17th birthday, he took the car to school after his successful driving test in the wee hours of the morning. School lets out at 2:19 and he should have been home by 2:40 the latest. Time passed and I kept looking at the time. It was 3:00. I called him on his cell and he did not answer. That made my nervous but then again I always tell my kids (my older son already drives) not to pick up a phone while they driving, even on Bluetooth. I tell them to pull over safely and answer if they think it’s important. A few minutes later after convincing myself he was alright, he walked through the door. I ran to the door and gave him a big hug, then delivered the warning. “First thing you do is tell me where you are going and when you will be home!” He answered, “Tommy (his BFF) wanted to go cruising so we cruised around for a few minutes.” I replied, “That is fine but next time you have to tell me”. In another household across the country, the same scenario played out in Riley’s house in California when she got her license on birthday (where the driving age is 16). Riley got a car for her birthday, and after the celebration, she took it out for a ride. This was every teen’s dream, freedom. Riley was having a great week. Besides getting the freedom she yearned for, she was having some good luck with a boy she liked, Robbie. It was possible that he could become her boyfriend. So as she was out enjoying her first ride alone, Robbie was on her mind. Then, Robbie was on the phone. She knew this, because, like every teenager, the cell phone was in full view as she drove. She saw who the text was from. She knew she shouldn’t answer it. Her brain was telling her it could wait, but that teenage heart and that must-reply-instantaneously belief of the teen won out and she texted back. Then the screen went blank. And her world was never the same. Riley is a fictional character. Nonetheless, she was brought to life with the ingenious film making of writer/producer/actress Lauralee Bell, best known for her continuing role of Christina Blair on The Young and The Restless, and even though this was make-believe, the depth, dialogue and drama of this video production got the tears streaming out of my eyes as if the main character was someone I knew. And that is the point of these videos, Riley is anyone. That is not to say that his scenario has not played out in real life. Statistics show that in 2011 at least 23% of all auto collisions (that means 1.3 million) involved cell phones (Source: TextingandDrivingSafety.com, 2012 results are not available yet). It is not unusual now to read about young people driving off the road and getting killed in car accidents, and when the reports say that “no substances” have been found I think many people assume now it was probably due to cell phone use. Lauralee Bell takes her years of acting, writing and producing (she has two short films, Just off Rodeo and Family Dinner) to a new level of storytelling in this series of videos which clearly entertains and teaches without preaching. With her dad being William J. Bell, the television producer and screenwriter whose legacy is creating Another World, The Young and the Restless and The Bold and the Beautiful, turning imagination and thoughts into life in vivid color on a screen is in her blood. The short, series of 6 videos that total just under 21 minutes is well-done, dramatic, compelling and eye-opening. With this new webseries, she has become an advocate for stopping texting and driving. Riley (Cassidy Ann Shaffer) takes her eyes off the road to check a text. Lauralee Bell plays the mother and Cassidy Ann Schaffer (Kimmy of Disney’s Austin and Ally) plays the daughter, Riley. As the main character is a female, I would imagine most females – moms and daughters alike- will relate to it. I can also see teen why teenage boys may find an interest in watching the story of a beautiful young girl story unravel as well. I had the good fortune to be asked to interview Lauralee by Martha Byrne, who told me about this innovative new concept her good friend had. I could hear the excitement in Lauralee’s voice as she explained to me how and why she developed this series. “It took a few months for me to get it all on paper but I sat down one night and wrote the whole thing. I still wasn’t sure I wanted to do it. Then I started thinking, “I can shoot this whole thing in 3 days”. “Then I was really determined. My birthday was coming up in December, and I told my husband ‘I don’t want a birthday present, I just want to shoot these”. She is right. I never really thought about it this way. With each new generation comes a new way of being wired. 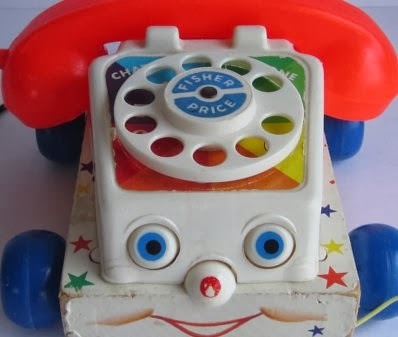 When I was a very young child I played with the Fisher Price Rotary play phone with the smile on it and thought it was the cat’s meow. We are light years away from that now. Electronics and responding to electronics to live starts at the infant level. Lauralee believes that children need to be presented other options and shown how to carry them out. In her video, she presents an option. Now this is a spoiler just in case you want to be warned, but in the series Riley winds up in a coma. While she is lying listlessly and lifelessly in a cold hospital bed, her mother talks to her about how much more vibrant and emotional life can be lived out loud and not on a digital screen. She talks to her while she is in the coma, not knowing if she is hearing or not, about how different the scenario of acknowledging each other’s feelings could be. “Imagine yourself under a tree, sitting with him and holding hands. It’s a perfect day. He finally gets the courage to say ‘I like you’ and your heart is pounding. Then you look into his eyes and say ‘I like you too’. Lauralee is so right about living life in person, and I really do hope that all these Gen X’s and millenials are not missing out on all the face-to face magic moments in life. As a baby boomer, I remember the first time I tried to talk to a boy I liked. It took me three tries, my palms were sweaty, I know my face was red and I only got out one word. And even more important, I had to first figure out how to make all those potential meetings take place. In the hallways after a class? Hanging out after he finished baseball practice? Going to a store that was near his home so I could catch him on his walk home? Flash forward 30 years and all of this is gone. Text his cell and done. Riley’s most telling thought comes at the end of the series,“One stupid little (and she moves her thumbs mimicking texting) and all my moments are gone.”. Please watch this with your children, nieces, nephews and tell other moms and dads about this series. There are lives to be saved, dreams to be realized. For more on MiPromise and other interesting articles please click on HOME and see the full site! Thanks for reading. Note from Suzee: Please share this website with your friends via Facebook, Twitter or any social media you use. What is www.MiPromise.com by Lauralee Bell?